When you’re flying in a premium cabin, chances are you’re heading to a lounge before you board the plane. Lounges available to premium travelers can be luxurious — from the dining to the drinks and the service. They can be a place to relax before a flight — not to mention the meal you’ll get there is oftentimes a much better option than what you’ll find on board — unless, of course, you’re traveling in The Residence with a personalized Thanksgiving dinner. So, when given the opportunity of a business-class meal in-flight or a meal in a luxurious lounge, the choice seems pretty clear. Air France is now giving you that exact option. The carrier’s Night Service is a new dining experience for business-class customers to feast on the same business-class meal that they would be served on board — but in the carrier’s lounge at JFK instead of during the flight. 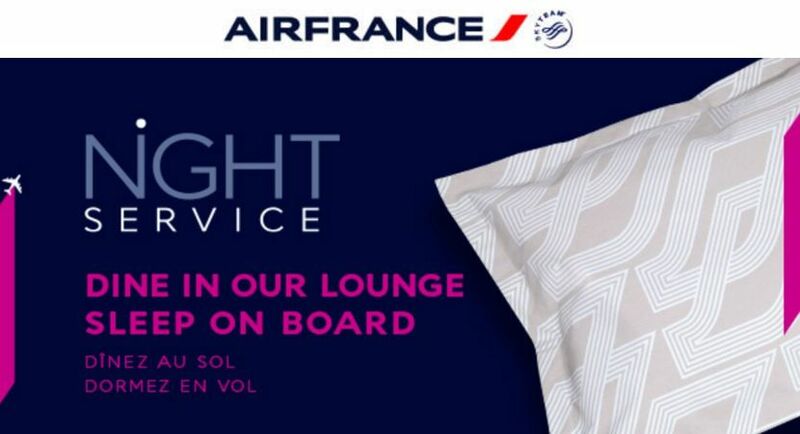 Air France’s new Night Service will serve business-class passengers their onboard meal in the lounge. The thought behind Air France’s new service is to allow business-class passengers the time to sleep while they’re on board instead of having to wait up for meal service. If the passenger chooses to take advantage of the Night Service and becomes hungry again when they’re on board, they can eat again during the flight. The best part? You don’t need to register to take advantage of this benefit! You’ll just need to head to the Air France lounge and request your meal that’s been sitting there, waiting for you the whole time.